They say that as we age, time seems to pass faster. They say that when you’re having fun time seems to pass faster. Whether we are getting older, having lots of fun, or both, this school year has surely seemed to pass real fast! It was a year of new beginnings, with new administration team, some new teachers, new students, and several new extra curricular classes. It was a year of revision and improvement. A year of hard work with a dedicated team of teachers, parents and students. A successful year. We marked the end of this school year with our traditional annual ceremony at the temple, in the presence of the deities and devotees. The youngest students opened the ceremony by chanting the bhajan “Nadia Godrume”. The Middle Elementary class recited the key verses of Bhagavad-gita and their translations (mostly through songs), which they have learned throughout this year. 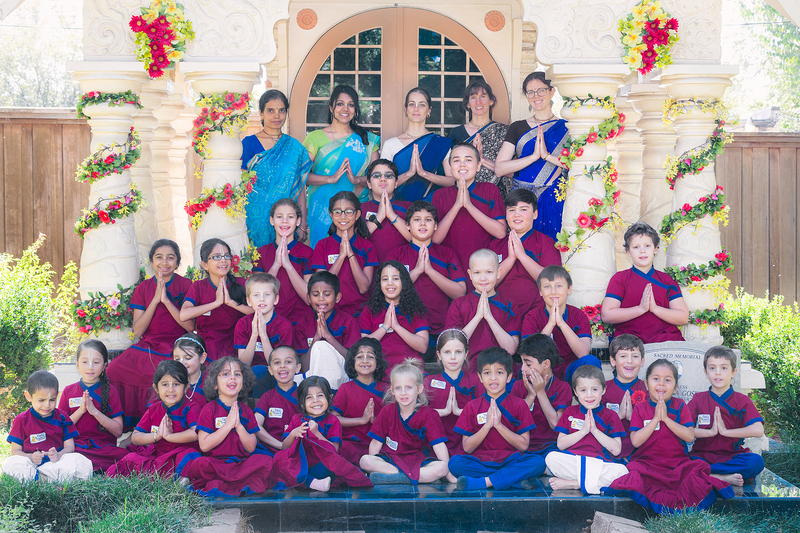 The Upper Elementary class chanted the Brahma Samhita prayers they learned along with their translations. Next we had each student receive a certificate, appreciating one of the outstanding qualities they exhibited during the year. In turn, they each shared some of their highlights, experiences which stood out for them, or the most exciting thing they have learned this year. We concluded the ceremony with our latest promotional video, created by Bhismadeva Prabhu, which is included in this newsletter. New students are knocking on our doors for the next school year. Much work is awaiting us this summer and we look very much forward to yet another wonderful year together. Hare Krishna! What a beautiful school photo. Being a mom of past alumni i can only say TKG academy is just getting better and better each year! Please keep up the good work. Thank you for making Kalachandji Dham one of the fastest growing and successful Krishna conscious communities in North America!